Just like Mum used to make, Gravox Traditional is an all-purpose gravy, designed for use with pan juices, that’s perfect with everything from roasts to mid-week chops and steak. Wheat Flour, Salt, Colour (Caramel III), Natural Flavour. This makes the best gravy ever. 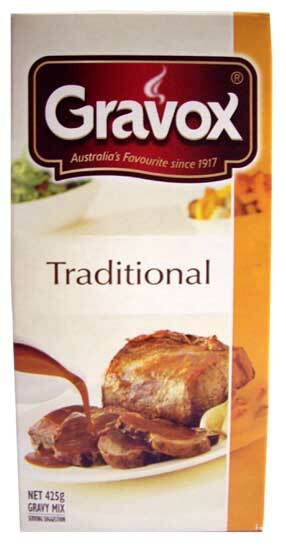 My (British) wife and nephews hadn't tried Gravox gravy before and now it's all they want. Highly recommended.